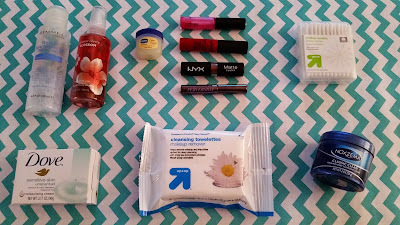 I'm always thinking about my next get-a-way, whether its a quick weekend road trip by car or catching the next flight out for a few days, we all have those must have beauty products that must travel along with us. Check out my beauty products that is a "must have." What do you pack in your beauty bag when traveling? Yeah that pretty much sums it up for me. Only things missing are my head scarf, tanning lotion and extra feminine products, just in case. Lol!